My photography guide in Berlin is Luis dos Santos, an incredibly gifted photographer and all around great guy. Today we photographed an abandoned Soviet barracks south of Berlin. Tomorrow a visit to Beelitz Hospital. 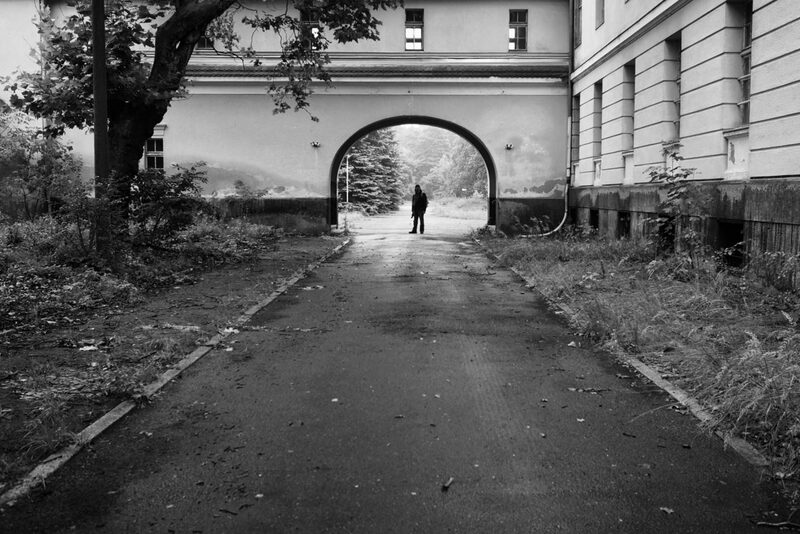 Today’s image is of Luis under an arch at the Soviet Barracks. And in case you are wondering, my luggage is still in the wind.